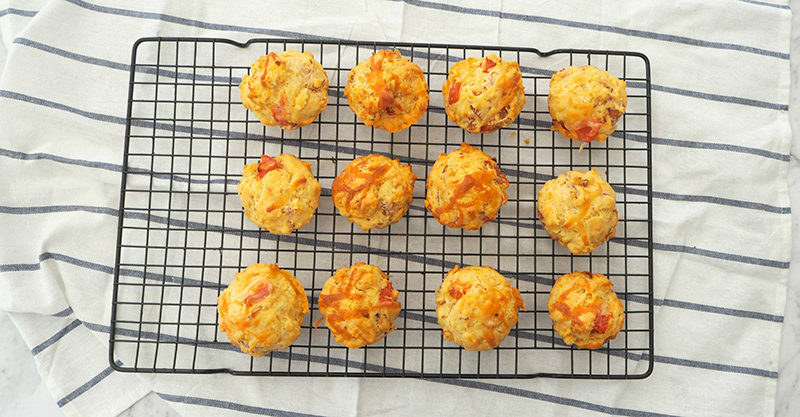 These savoury ham, cheese and tomato muffins really have a lot going for them: they are freezer friendly, perfect for lunch boxes, contain no added sugar, can be enjoyed by the entire family and perhaps most importantly, they are super simple to make! If you need any further convincing, this is also a great recipe to get the kids involved with too. 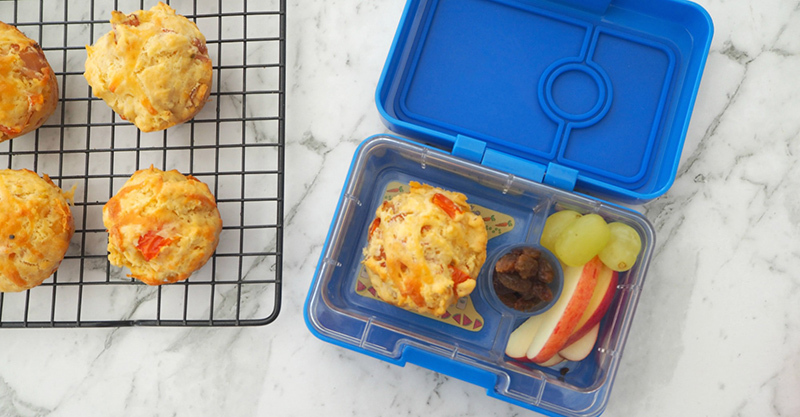 Line two x 12 hole muffin tins with paper cases and preheat your oven to 180°C fan-forced. 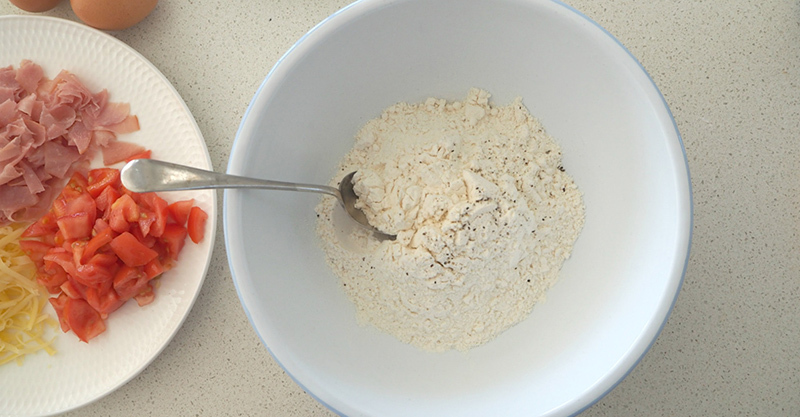 Place the self raising flour, onion flakes and salt and pepper into a large bowl and mix to combine. 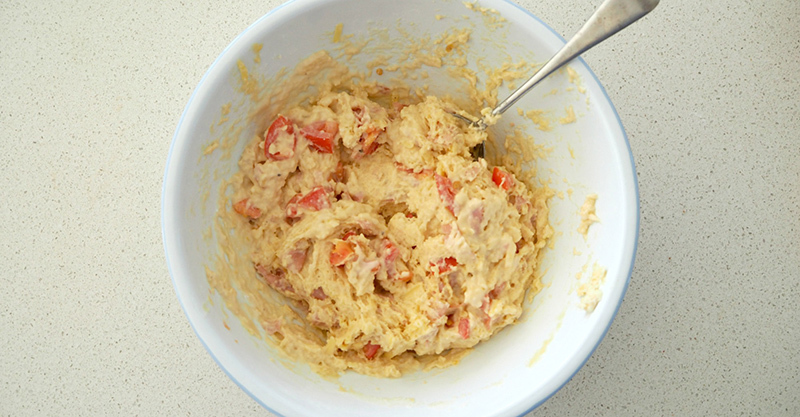 Add the grated cheese, sliced ham, tomato, eggs, melted butter and milk and mix to combine. Divide the mixture between the paper muffin cases until they are around ⅔ full. 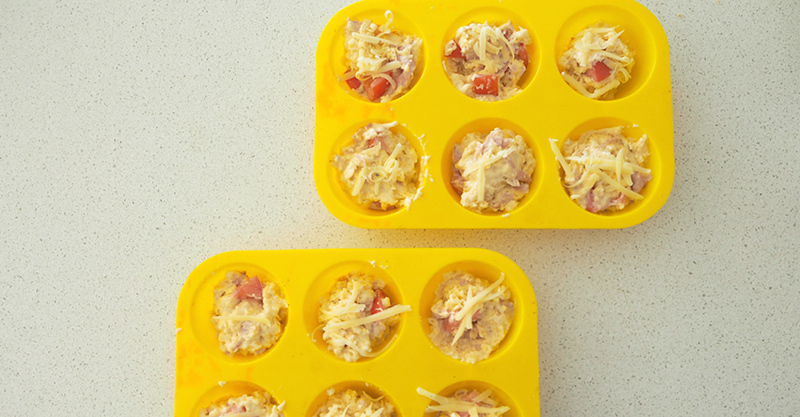 Place the trays into the oven and bake for 18 – 20 minutes or until cooked through when tested with a skewer.